I’ll admit it – I absolutely hate asking for agent reviews. It makes me uncomfortable asking for them because I’m not your typical sell-by-force kind of guy. The thing is, online agent reviews are a vital part of our business. so if you’ve had a professional interaction with me in the past and wouldn’t mind reviewing me on Google, Zillow, Facebook and/or Realtor.com that would be amazing, thank you! The search for representation in a real estate transaction is something that shouldn’t be entered into lightly. And, when it comes to something as complicated as a selling or buying property, it’s only natural to want to learn of others’ experiences with any particular agent and that is one of the reason honest reviews are so helpful. So how DO you find the right agent for your needs? Starting online, looking for social proof, is a good place to start. Understand that who you decide to hire will be the person/people responsible for steering your transaction to a smooth and successful closing. So, read the agents’ reviews on Zillow and Realtor.com, but don’t stop there. Look for evidence on Facebook. Check out agents’ websites, (see mine here), looking for evidence of their expertise and integrity. I also recommend that you narrow your choices to at least three agents to interview, and make sure, in person, that it’s a good match. You want to feel comfortable with and confident in your agent. We’ve found that most of our clients were looking for someone who was responsive – who actually returns their calls, emails and texts within a reasonable amount of time. So make a list of what’s important to you and use it as you interview agents, looking for cues that they are actually listening to you. If you are a homebuyer, did he or she inquire about your loan pre-approval status and explain its importance? If you are selling your home, did the agents ask you about your preferred timeline? What advice did they give you on either the buyer or seller side? Pertinent questions, specific to your real estate transaction, are important signs that you’re interviewing a good agent. Will your agent invest marketing dollars in your property? Naturally you’ll want to learn all you can about each agent’s marketing and listing outline. See mine here. My brokerage, Tahoe Mountain Realty believes that marketing to multiple platforms is crucial, with a strong combo of social, print, and vacation buyer exposure. Combine that with on-point pricing, and you should have a successfully closed sale. To properly market a home requires innovation. Since first impressions are critical, the services of a professional photographer and, perhaps a stager are a must. 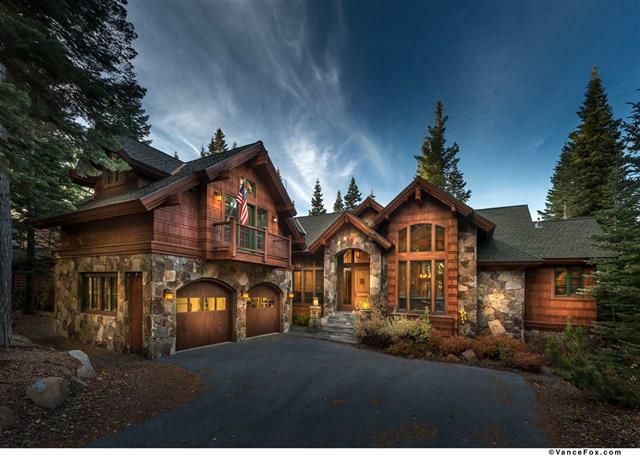 At Tahoe Mountain Realty, we hire a professional photographer to make your home look its best when homebuyers are looking at images of your home. Are you thinking of selling your home? Check out TOP Tips for getting your home ready to sell. That’s my take on agent reviews, and choosing the right agent for your sale! Please Click here to read my testimonials and thanks for considering me as your agent when it’s your time to buy or sell in Truckee and North Lake Tahoe.